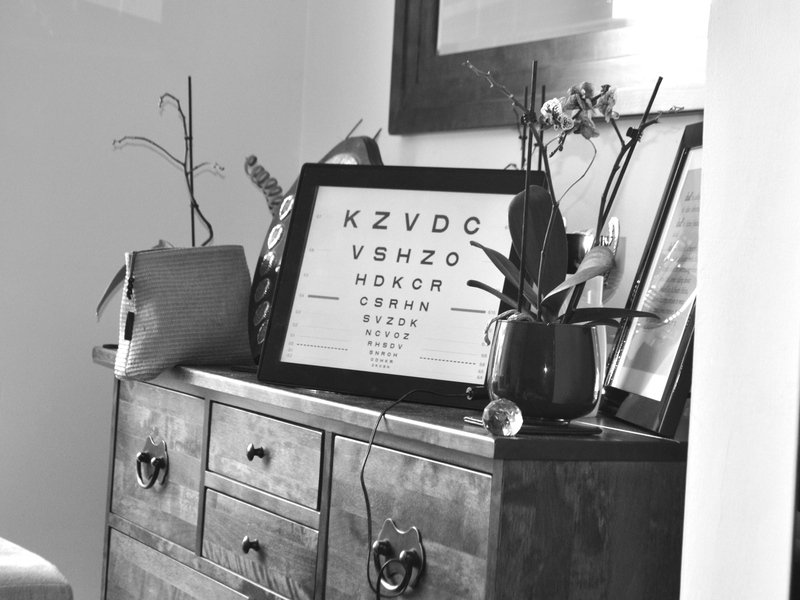 Today I want to share with you my experience of The Outside Clinic (a home-visiting optician service) because I think it’s a great option for the chronically ill. I’ve been putting off having my eyes tested for some time now because of my health but about a month ago I decided to just go for it and book an appointment. I had to rearrange it three times before giving up because I was too unwell. By chance my Mum stumbled on a leaflet in her opticians advertising the Outside Clinic which we weren’t aware of before. I bet you’ve not been made aware of it either?! When I was granted ESA (Employment Support Allowance) I received a list of services available to me such as help with prescriptions etc, but this wasn’t listed and I think it should have been. Having the test done at home avoids travelling, wait times, sitting for too long and noisy environments which are all tricky when you suffer from a chronic illness. I was able to lie down for most of the test which I was very happy about. The only time I had to sit up was when I had to read off the chart with the ever so attractive glasses pictured above (how cool do I look?!). The optician was very lovely and made sure we did the test at my own pace. I would highly recommend this service to my spoonie pals, now I just need to find a hairdresser who can cut hair lying down – not sure that’s an option somehow *sigh*!? What a fantastic idea. I am sure there are many who do not know of this. I had my eyes tested in Feb and it was exhausting and painful as I was in the middle of a flare up. I pushed myself to go as I was getting sore heads due to my sight not being right. This would have been helpful to know so thanks for sharing. I second the hairdresser thing too!! I know, such a great service! Gosh that sounds like a terrible experience Donna, fingers crossed that by getting the word out there, others won’t have to go through what you did! How wonderful this service is! People who have such ideas should definitely have a great heart. Hope you will feel better soon! Just wish to say your article is as astonishing. The clarity in your post is just nice and i could assume you’re an expert on this subject.